Physical structures live in our brains, giving energy to actions, emotions and thoughts. The structure of our lives exists in a very tangible form living in a fatty tissue beneath the surface of our skull. 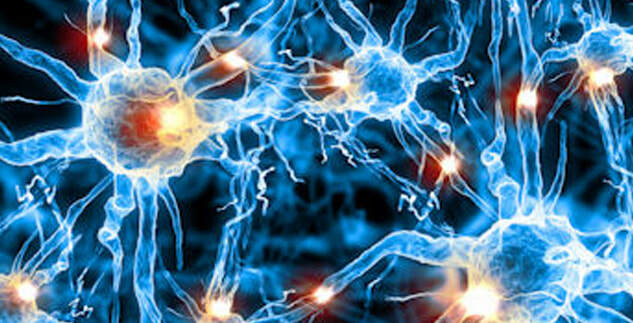 A road map for living is etched into the neurons and synapses. Throughout life, we gather information, piecing together scraps of joys and pains into a workable map of life. Everything we do leaves a mark drawing a new line, making new connections. Experience doesn’t quietly disappear; we integrate yesterday into a living present. Strong emotional encounters create new impulses, influencing future reactions, becoming a significant part of are being. The past motivates or discourages action. After flattened by traumatic event, we gratefully declare, “I’m glad that’s over!” But it’s not over. It’s never really over. The emotional relics of pain lives on, continually surfacing in the present, creating a road map that we feel bound to follow. We organize experience (with the associated thoughts, emotions and triggers) into a coherent story, tidying the chaos into usable and logical chunks. These self-created stories give events meaning, tying them to foundational beliefs about ourselves and the world. Memory stores emotions together with the composed explanations to better navigate life. Squeezing meaning from the chaos is the essence of wisdom—or sometimes foolishness. We are meaning-making machines. We want to know who, why and how. The answers to these basic questions create direction for future action. When we know why a relationship went bad, the knowledge provides wisdom to avoid repeating patterns of hurts. These bits and pieces of knowledge create mental maps. They provide context for interpreting experience. We can navigate new experience with confidence. Mental map can be flawed by assigning errant meaning to an event. These flaws continue to interfere with present appraisals, compounding the error, distorting perceptions. Mundane events can strike unnecessary fear, anger or sadness when wrongfully associated to a hurtful past. Significant distortions disrupt our lives, constantly alerting danger where no danger exists. The more disconnected we are from reality, the more dysfunctional choices become. We spin our wheels with inappropriate reactions. Our responses—based on erroneous assumptions—seldom effectively achieve our goal. We are responding to the painful past, not the promising future we desire. Our behaviors become protective rather than open and inviting. Our ineffective responses then further complicate the mental maps. We don’t know how to act to achieve what we want. This vicious cycle of incorrect interpretations and inappropriate responses are not self-correcting. They are confusing. We believe we are responding correctly but continually fail to achieve objectives. "Squeezing meaning from the chaos is the essence of wisdom—or sometimes foolishness." How do we get through this smoke screen of distorted interpretations? Closer examination is part of the answer. We must focus attention on the chain of events: the trigger, emotion, and subsequent behavior. This deeper awareness empowers change. The reactionary chain is so heavily shroud in automatic and unconscious process that it is susceptible to misinterpretations that we only assign after the fact. These processes often operate in inaccessible areas of the brain; blind to the process we rely on educated guesses instead of facts. Protecting our ego, we assuage our fears by blaming outside triggers for stirring emotions, and with a comforting creation of faulty facts we justify our bitter and punishing behaviors. We simply follow the misleading information on the stored mental maps of our mind. Without awareness of errant patterns, we are doomed to repeat the same errors; reinforcing the cycle, etching deeper impressions in the mind that require more work, guidance and sessions to escape. If we continue to respond the same way, we usually can expect the same results. We don’t need to hasten our pace; we need to change directions. But changing directions is difficult. Simple physics teach that continuing in the same direction is the path of least resistance. By changing direction, we implicitly acknowledge error—we were wrong. The protective ego resists this. We can’ correct the faulty lines giving directions to actions until the error is detected. The protective ego generates excuses—excuses not change. New insights are discredited with justifying facts. We desire change but sit back and demand change in circumstances instead of drawing a more accurate map. We self-righteously proclaim, “My relationship would improve if my partner stops making me angry.” Dreaming of a changed world that shifts to resolve our difficulties, while tantalizing, only distracts us from the real work that change demands. These dreams of a better world temporarily shelter the ego from the frustrations of a confusing present. Dreams are nice—and sometimes even necessary—but dreams must be realistic before they can be fulfilled. Realistic dream fulfillment demands effective action. Successful action that satisfies the underlying goal validates effective mental maps, building confidence, and paving the way for other improvements. We must escape painful cycles that stagnate our lives—the same action, the same failures. We can penetrate the clouds of deception and stand on the solid ground of reality, recognizing the real cause for failures. We may need professional hand holding to challenge stubborn routines. A religious instructor once taught if you muster enough desire to experiment upon these words; the actions provide proof of their validity. When mental maps are distorted, we must escape the losing patterns. The etched marks giving guidance are faulty. We must oppose impulses and do something different instead of demanding the world to conform. 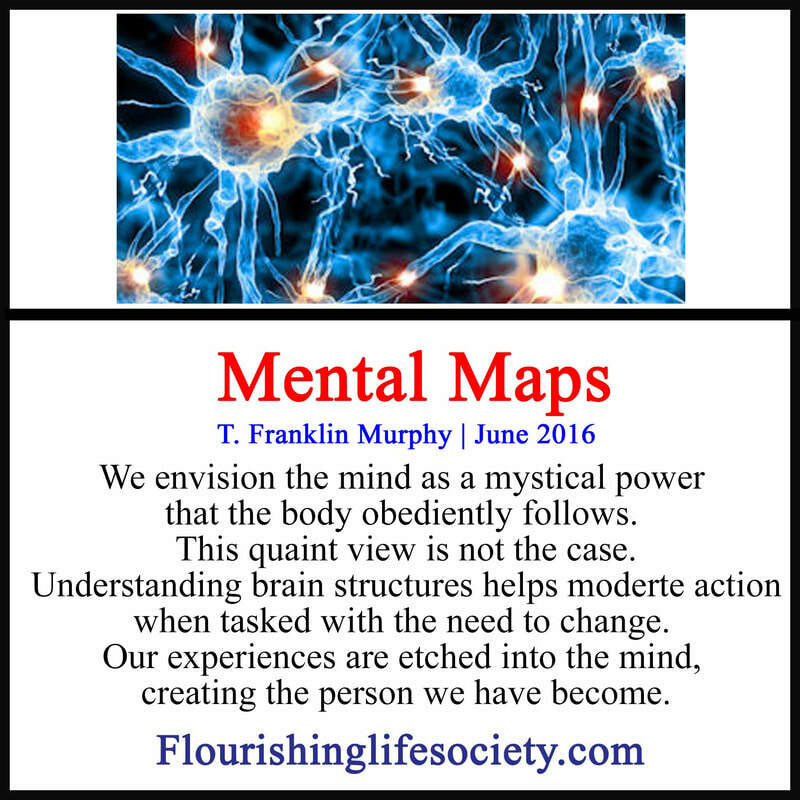 We must create new mental maps for guidance. This comes from skeptical examination of thoughts, identifying excuses, and challenging automatic responses. With greater clarity, we experiment with new behaviors—even if they don’t make sense at first. We adopt behaviors proven to be successful by reliable sources. We awkwardly implement them. New action is always awkward. But eventually the behaviors become normal, then habit, then automatic. A new effective map to follow. Overtime new behaviors change the trajectory of our life. New actions prove their worth through patience and repetition. The faulty mental maps will interfere, pushing for the same damaging responses. We feel inclined to listen. Our mind finds flimsy evidence to discredit healthy change. Small disruptions become excuses to abandon effortful practice, we eventually tire and seek escape. We often prefer the comfort of unproductive automatic responses. But if we persist, the new becomes the automatic. The new seeds of action eventually break through the cold ground of sorrows. New mental maps create a cycle of positive action. Success builds self-confidence. Each difficult step illuminates more of the path. With patience and consistency, healthy desires of a better life become reality. We no longer futilely spin our wheels with ineffective responses. At first, the minuscule changes are hardly noticed. But as the months and years pass, when we look back, we discover the great fields, canyons and peaks we have transversed and the peace of a flourishing life descends upon our minds; a can bask in a life well-lived.